Is This What Conversations Are Like In Your Organisation? Sometimes it is as if people are having conversations with their backs to one another. It doesn’t have to be like this. If organisations are living networks of relationships, they need nurturing. 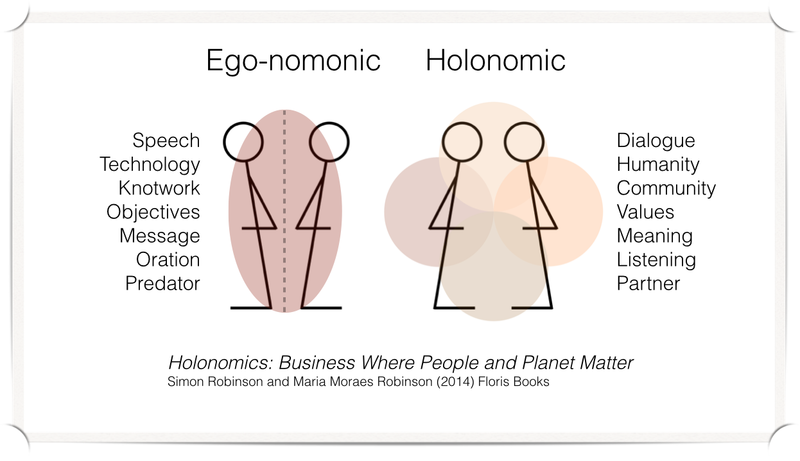 This is holonomic leadership.